A depth sensitive camera is like an ordinary digital camera but each pixel also contains information about the distance to the object. Therefore, you can digitally reconstruct any object or scene in 3D, quickly and with millimeter precision. We use these cameras to capture running motion. 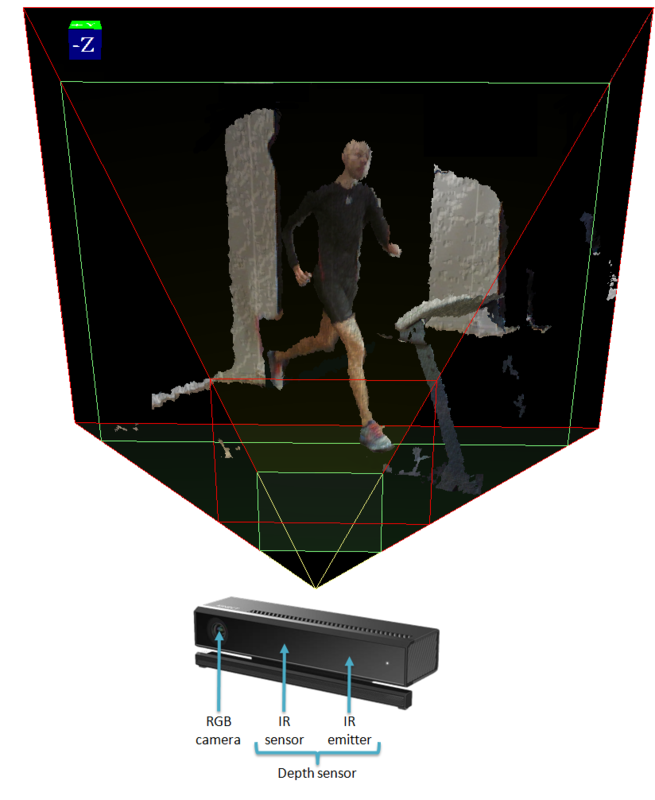 In contrast to traditional motion capture systems, depth cameras do not rely on physical body markers. Instead, they use a pattern of near-infrared light to perceive depth. In a way, one can say that a depth camera generates its own body markers made of light. 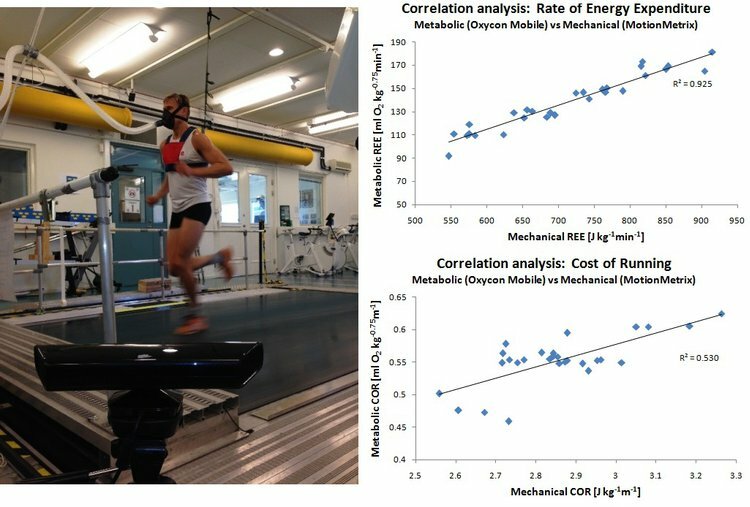 Therefore, no special suits or body stickers need to be worn which makes running analysis with MotionMetrix very fast and easy. You just need to step on the treadmill and run and that’s it. Most depth cameras have built-in motion tracking functionality and it works well for general purpose applications where precision and speed is less crucial. For running, however, the built-in tracking is simply not adequate. This is why MotionMetrix uses its own algorithms for 3D reconstruction and recognition of individual body segments so that the running motion can be described with the highest possible accuracy. How accurate you may ask? Well, sufficiently accurate to compete with world-leading marker-based solutions. All categories rely on rigorous kinematic and kinetic calculations to extract the angles, forces, timing parameters and everything else that matters for a complete running mechanics assessment. Before, you needed to visit a fully equipped biomechanics lab and spend a day to get the same parameters. With MotionMetrix you get it in minutes, all in one tool. It’s your own biomechanics lab. If you don’t consider yourself an expert biomechanics, no problem. MotionMetrix helps you interpret the parameters and guides you in your assessment. To find out more about what you can get out from MotionMetrix, visit the Products section. MotionMetrix can be installed permanently or be used as a portable tool. No more than 15 minutes is required to set up a ready-to-run portable solution. So for those of you who don’t have your own clinic or treadmill, you can still work with MotionMetrix. The whole system fits into a hand luggage and can easily be transported. 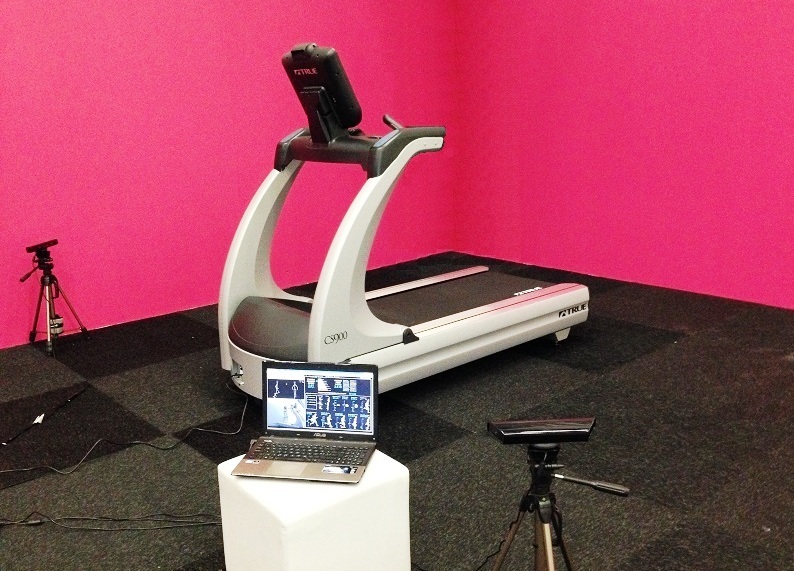 The test consists of a 30 seconds run on a treadmill at any speed between 9 – 20 km/h. 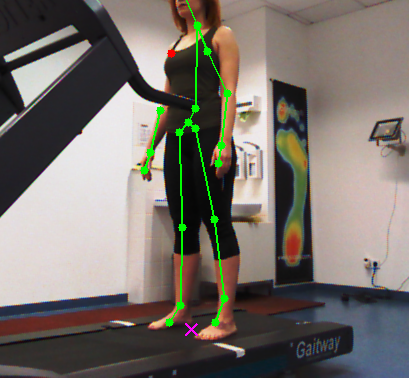 As soon as you step on the treadmill, the depth cameras automatically start tracking your body segments. Measurement capacity is up to 20 runners in one hour which makes MotionMetrix suitable also for larger groups. For more information about validation tests, contact us.